Make sure LOW POWER MODE is off. older models will have different ranges for what is good and bad. Sorry, this test will only help you if you are currently using an iPhone. Please come back on your iPhone. 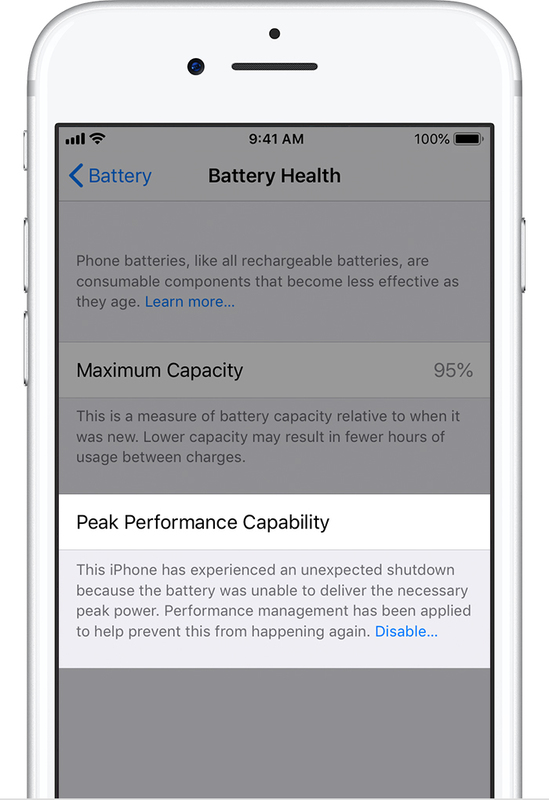 Basically, Apple added software so certain iPhone models wouldn't unexpectedly shut down when the battery gets too old. But, some people think Apple didn't notify consumers because they wanted to push people to upgrade sooner. Apple's public response to consumers. The test only shows if you are being slowed down when the test was run. Because a combination of the devices temperature, battery charge and the battery’s impedance (affected by health) triggers the throttling, it is unlikely anyone will be throttled all the time. Devices that are throttled will get fairly inconsistent scores with my tool precisely because the CPU speed is fairly inconsistent. If you want additional verification you can look up your battery's health. There are free apps on the app store which try to guess at your battery health which are probably accurate enough. Here is a good one to get you started.. You can also go into an Apple store and have them run battery diagnostics on your device. I've heard rumors you can get access to some of these diagnostics using the Apple Support App available on the App Store but I haven't tried it myself.